Certificate of State registration of print media: № КВ 21158-10958ПР of 23.01.2015. 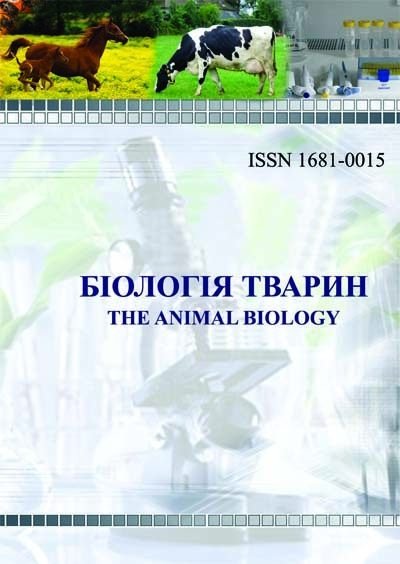 Aims and Scope: physiology and biochemistry, veterinary medicine, nutrition and feeding animals, breeding and selection, morphology, cellular and molecular biology, immunology, genetics, ecology and toxicology, cytology, microbiology, biotechnology; reviews on actual problems of biology; methodical works describing new or improved research methods; articles about the history of biological, agricultural and veterinary sciences highlighting the evolution of ideas, the conception and development of scientific schools or dedicated to creative portraits of scientists; discussion reviews of the new books and the journal publications; scientific chronicle. Scientific Editor: I.V. Vudmaska, Dr. Sc.